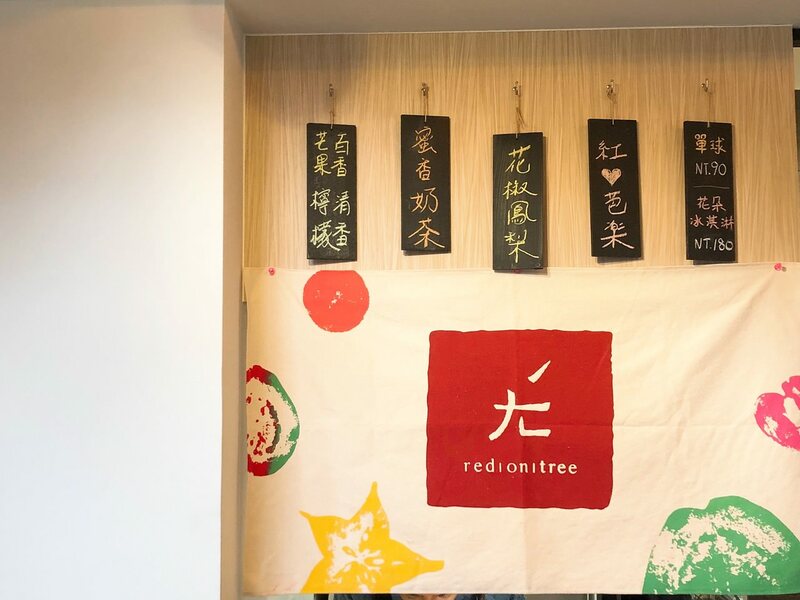 (已歇業) 在欉紅 ( Red on Tree ) 是台北師大下午茶甜點咖啡店之一, 除了販售在欉紅果醬外, 近期也推出氮氣咖啡,花朵義大利冰淇淋和甜點, 這次有這個榮幸可以品嚐他們的甜點和飲料. (Closed Down) Red on Tree Shop is one of the afternoon tea places near NTNU. 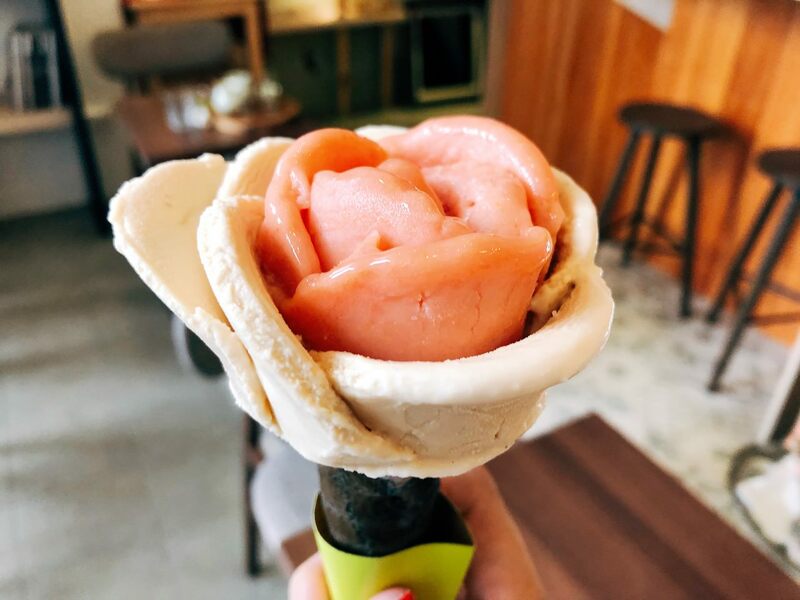 Besides Red on Tree brand jams, there are also nitro coffee, rose petal gelato and dessert. Now, I have the opportunity to try out their desserts and drinks. 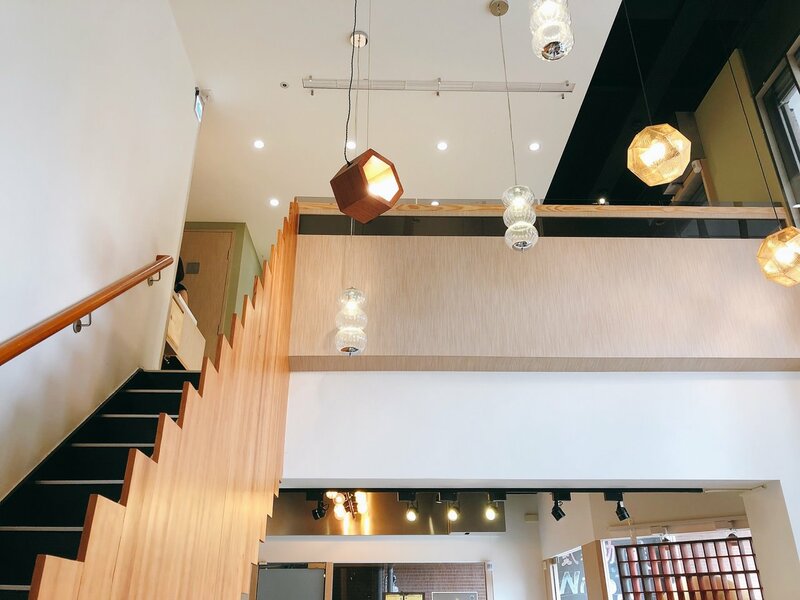 在欉紅店鋪在古亭捷運站的和平東路一段巷弄內, 室外挑高灰色裝潢與鮮紅色招牌相當顯眼, 原本以為會是高不可攀的貴氣甜點店, 走進店內則是感受到木質裝潢的文青, 重點是甜點與飲料價格並不會像 “Lady M” 般昂貴. 在欉紅本鋪雖有提供台灣咖啡/茶品及在地食材製成的甜點，但並非一咖啡/甜點店，而是台灣果醬專門店. 店家提到外國觀光客會特意前來購買他們的果醬, 也可以算是具台灣在地特色的伴手禮品店舖.在菜單方面的設計也以果醬為出發點做考量, 包括以果醬調製的鮮奶茶及氣泡飲品. 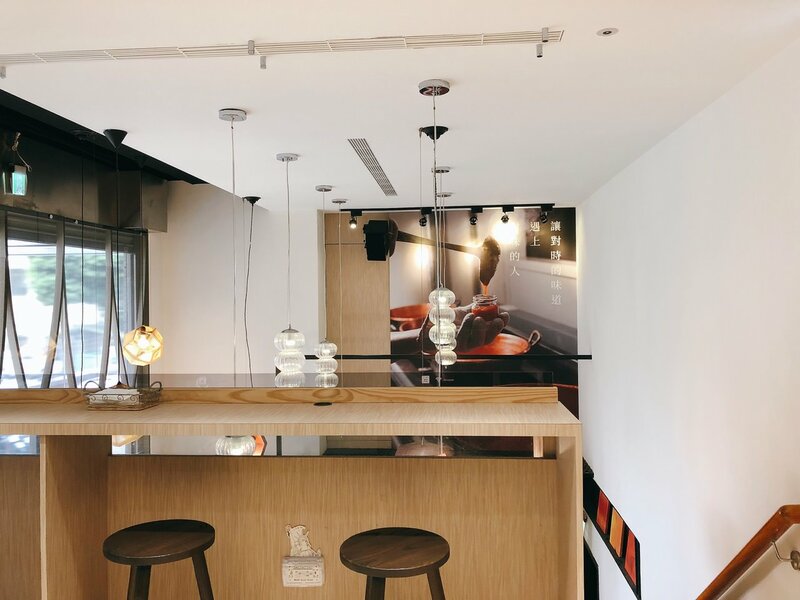 在欉紅店鋪有兩層樓, 皆有座位, 一樓展示櫃放置知名在欉紅果醬與水果軟糖, 櫃台旁有氮氣咖啡管線與甜點展示櫃, 從二樓望下去一樓座位的 View 也不錯. 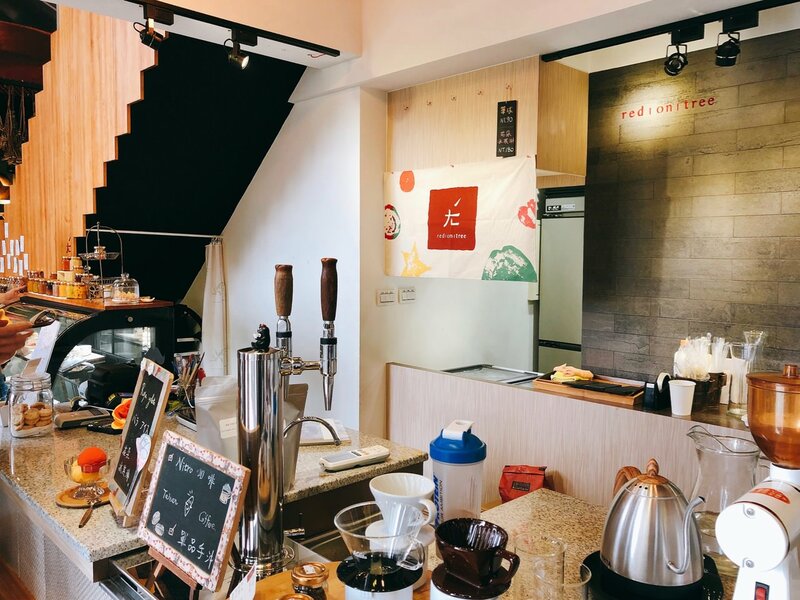 Red on Tree Shop is located at the alley of Heping Road. Grey color high-ceiling outdoor and red color sign are quite outstanding. I once thought it was a expensive IG-friendly dessert store. But in fact, the price is friendly, unlike “Lady M”. 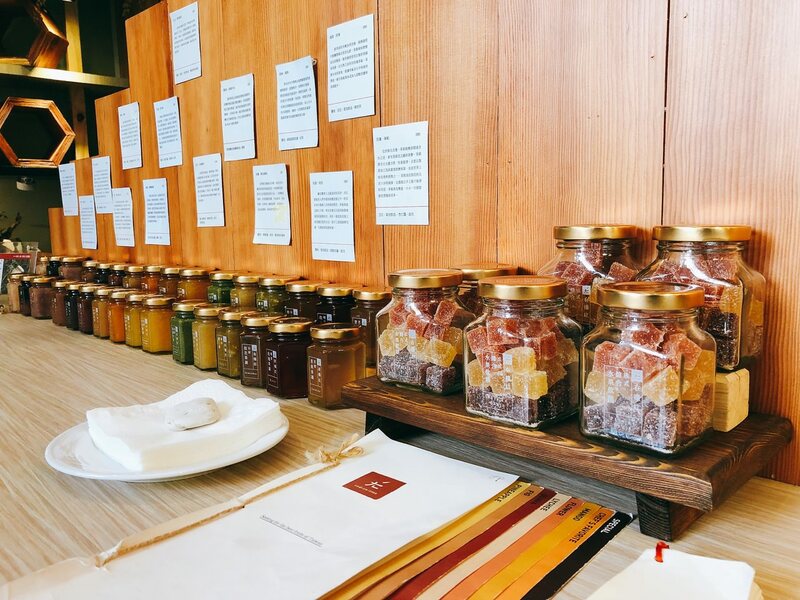 The staff mentioned that many foreign tourist often came by their stores to purchase jams. 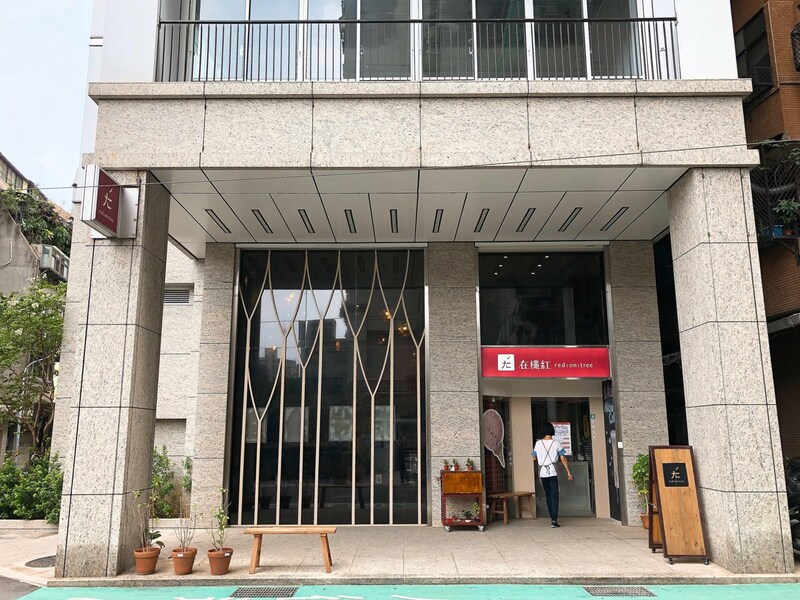 Therefore, Red On Tree Shop represents both local jam special store and Taiwanese Souvenir Stores. 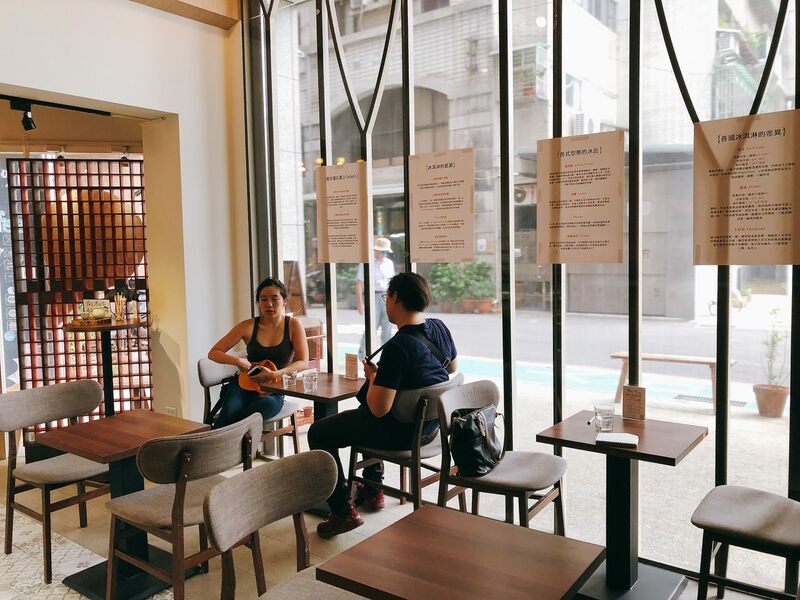 They also design the menu based on their jam flavors, include drinks and milk tea. 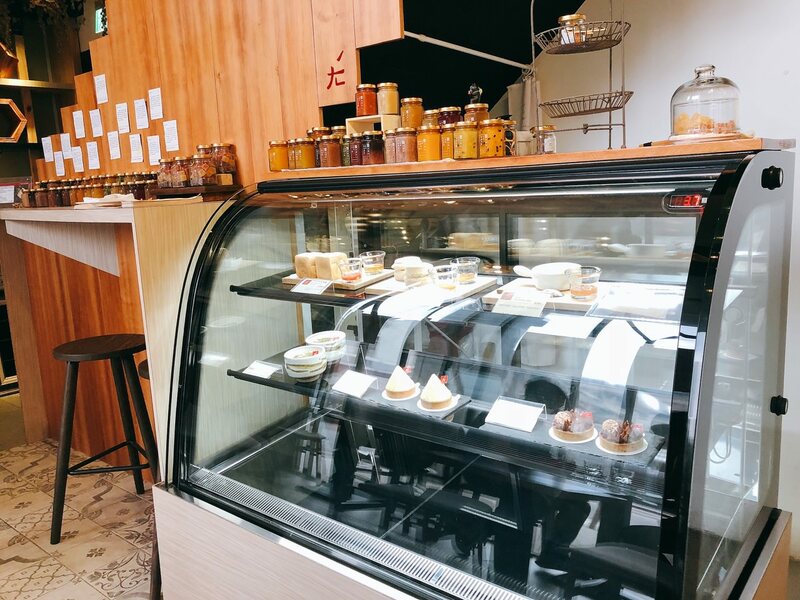 The first floor has Red on Tree jams along with Nitro Coffee, and dessert display refrigerator. The second floor has more seats and the restroom. 在欉紅的甜點或是果醬的水果與其他食材都是來自台灣, 以推廣台灣農業為經營理念. 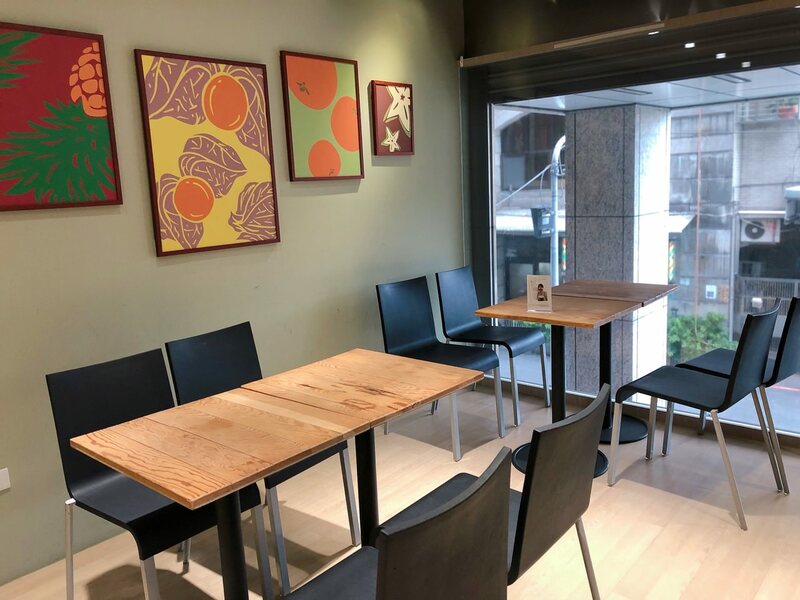 與 “FIKA FIKA CAFE” 的檸檬塔不一樣, 在欉紅檸檬塔外型是完美三角錐的小丘形狀, 亮鵝黃色檸檬餡外層灑上綠色檸檬碎末, 店家甜點師傅用台灣屏東兩種黃綠檸檬製作, 店家還提到台灣馬告也是食材之一, 只是微量辛香料在這款蛋糕甜點是吃不出來. 切下檸檬塔的瞬間相當滑順, 但堅挺外表並沒有塌陷, 令人驚艷. 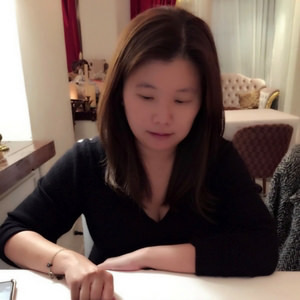 如慕斯般的檸檬餡吃起來有著討喜甜多餘酸的美味, 我相當推薦此款甜點. 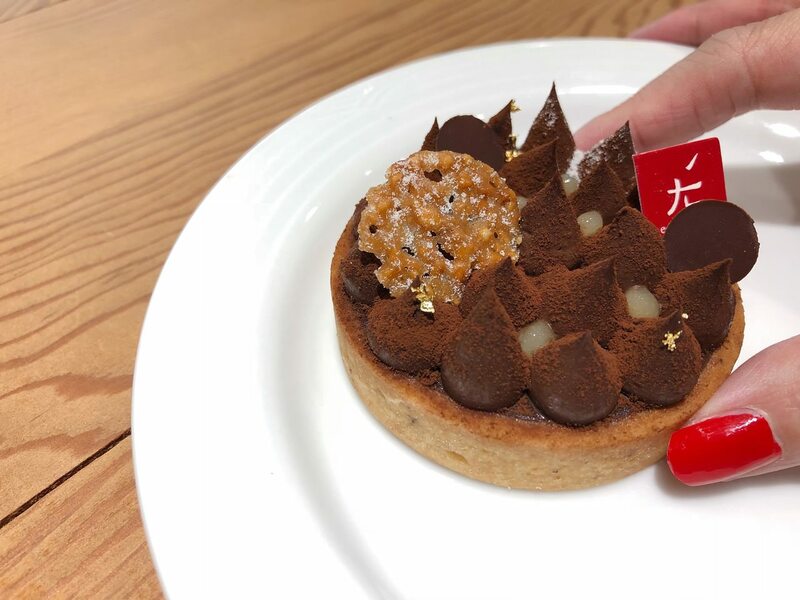 Most of the ingredients are from Taiwan in Red on Tree Shop. 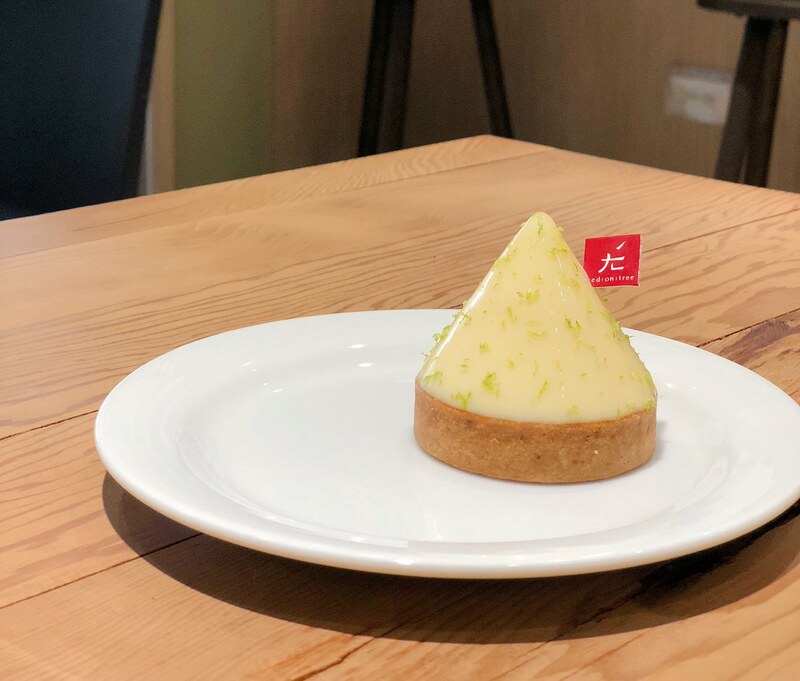 Different from “FIKA FIKA CAFE” lemon tart, the Red on Tree lemon tart shape is more like perfect cone. The beige and light yellow color has bright green lemon zests on the surface. 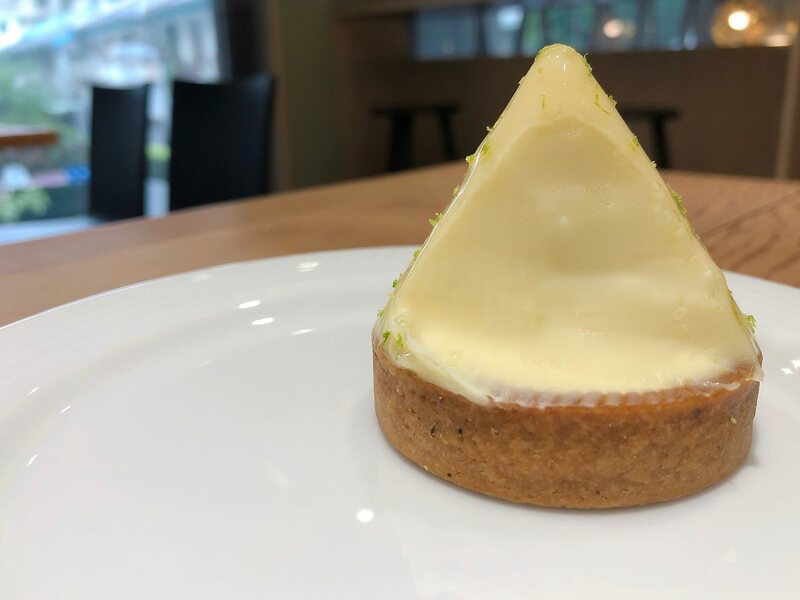 The pastry chef stated that they use Pintung yellow lemons and limes. The chef also mentioned that they use hints of Maqau, which is similar with pepper spices from Taiwan. However, I didn’t taste any type of spice flavor though. The lemon filling is extremely smooth and tastes like lemon mousse. There are more sweetness than acidity. I strongly recommend this dessert. 一顆顆形狀像 Hershey 的濃純巧克力放置在堅硬塔皮上, 交錯在其中的半透明水滴狀則是店家自製香蜜芭樂果醬, 金箔點綴讓整道甜點升級. 單一產區巧克力獨特的苦味並不會難以親近, 舌尖也會感受到獨特的芭樂甜味, 並沒有被巧克力內餡而蓋住, 相當特別, 我會建議點一杯清爽飲料來搭配. 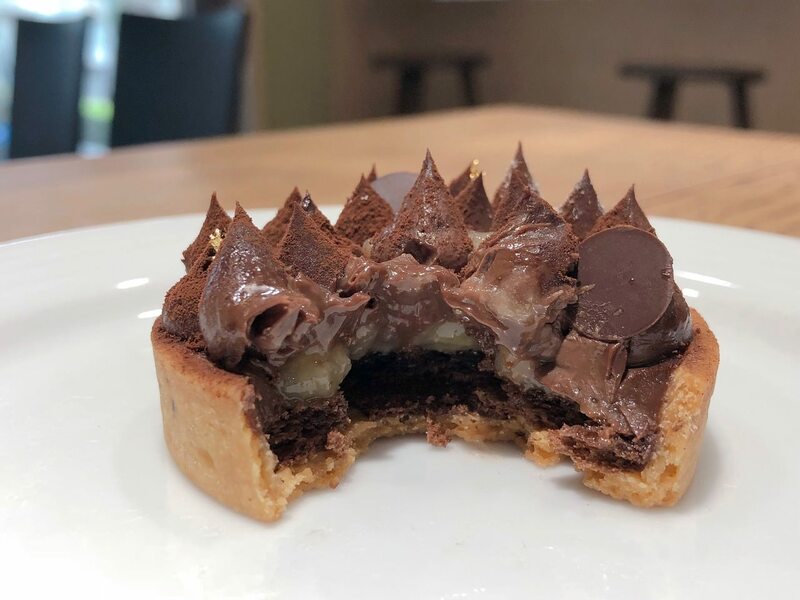 The chocolate on the tart is similar with Hershey shape Chocolate. 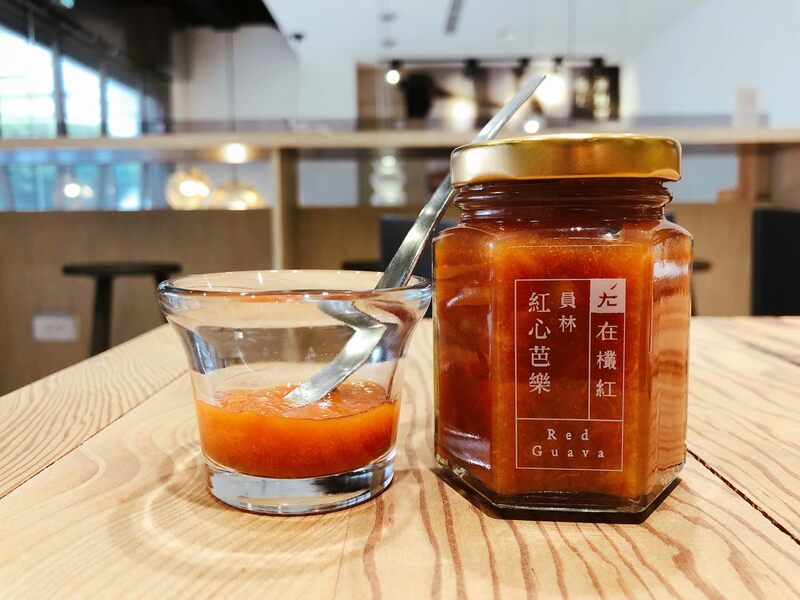 In between, the half transparent drop is Red on Tree Brand Red Guava Jam. 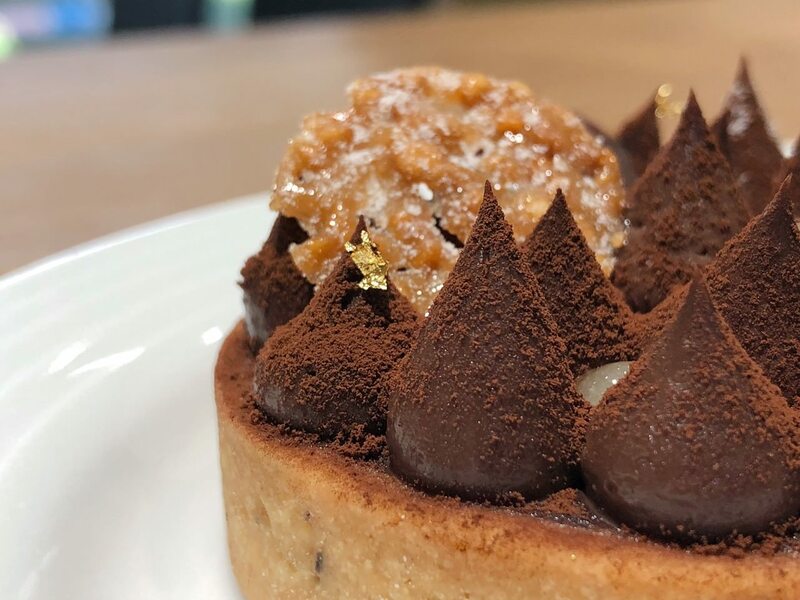 The golden foil upgrades the whole dessert level. The single-origin chocolate is bitter but with friendly touch. The tastebuds would sense the sweet guava flavor, instead of covering by the chocolate. I would suggest a refreshing drink. 台北有兩種潮流咖啡 – 西西里咖啡和氮氣咖啡, 西西里咖啡的代表店是 “Fly’s Kitchen” 和 “Lazy Point Restaurant & Bar”, 氮氣咖啡的代表店則是 “星巴克Starbucks”. 在欉紅氮氣咖啡是用昂貴的台灣咖啡豆而製作, 具體來說是混調屏東石頭鄉和嘉義卓武山咖啡豆. 滑順如同在 “SUNMAI BAR” 喝到的 Stout, 但咖啡酸度相當明顯, 醇厚度因為冰而降低許多, 我會推薦給愛喝咖啡的人. 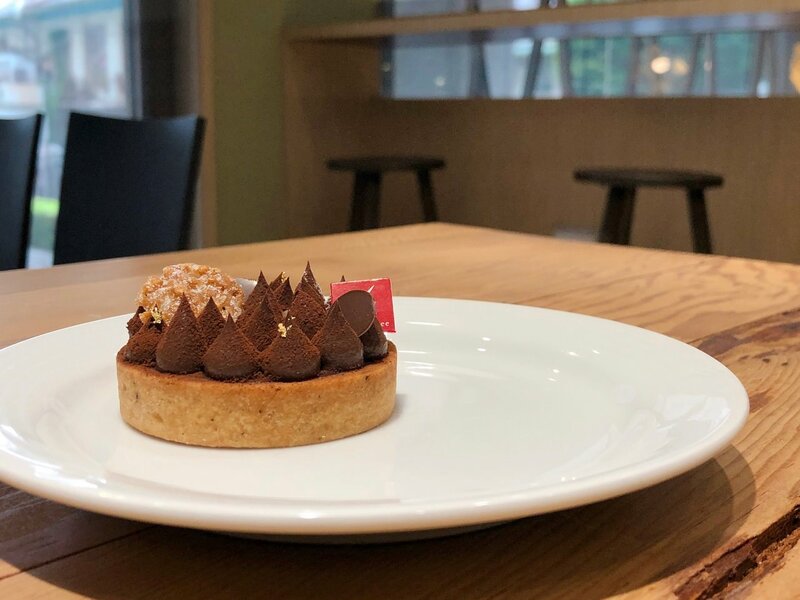 There are two trendy coffees – Sisley Coffee and Nitro Coffee. 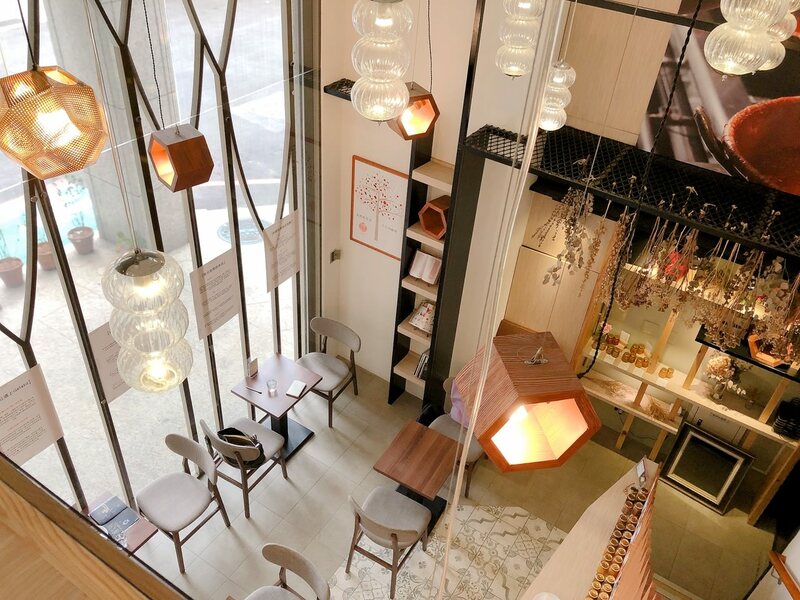 The stores that offer Sisley Coffee are “Fly’s Kitchen” and “Lazy Point Restaurant & Bar”. The Nitro Coffee would be “Starbucks”. Red on Tree uses expensive Taiwan Coffee bean. 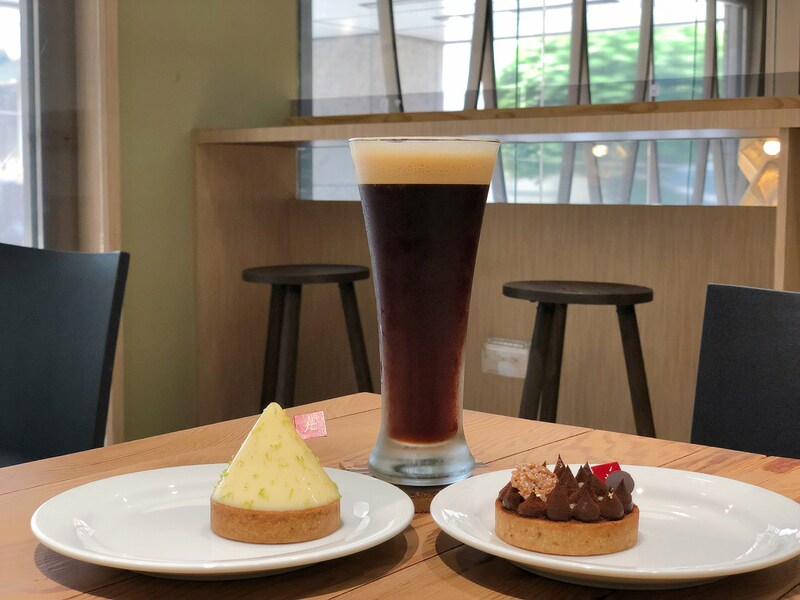 To be exact, the nitro coffee bean is mixed Pintung coffee bean and Chiayi coffee bean. 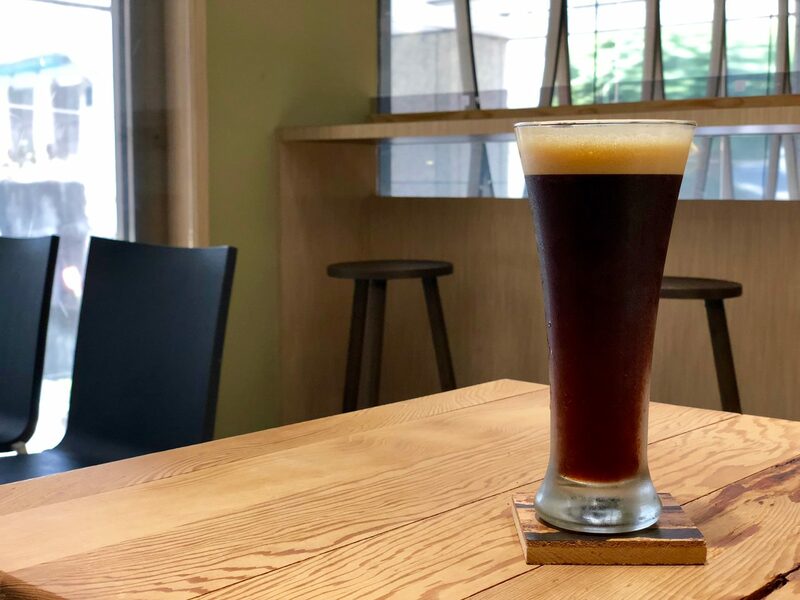 The Nitro Coffee texture is as smooth as “SUNMAI BAR” stout. The acidity in the coffee is very obvious. The thick coffee flavor decreases as the drink temperature decreases. I would suggest this product to the people who like to drink coffee. 兩款原味司康擺置在長型木盤上, 容器裡各自放著小量玉井百香芒果果醬與員林紅心芭樂果醬, 兩款果香並不會像進口果醬般濃稠, 單吃果醬並不會過甜, 兩款果醬相較之下, 我比較愛橘紅色的紅心芭樂果醬, 獨特的討喜風味在台灣市場較少見, 咬一口抹了果醬的司康, 較可惜的是司康澱粉味將果醬香蓋住. 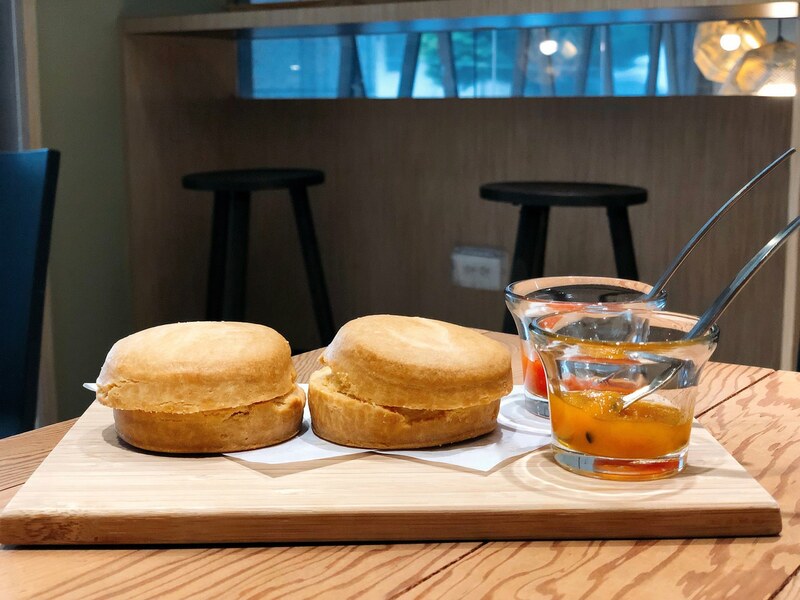 Two original flavor scones are placed on the wooden plate. 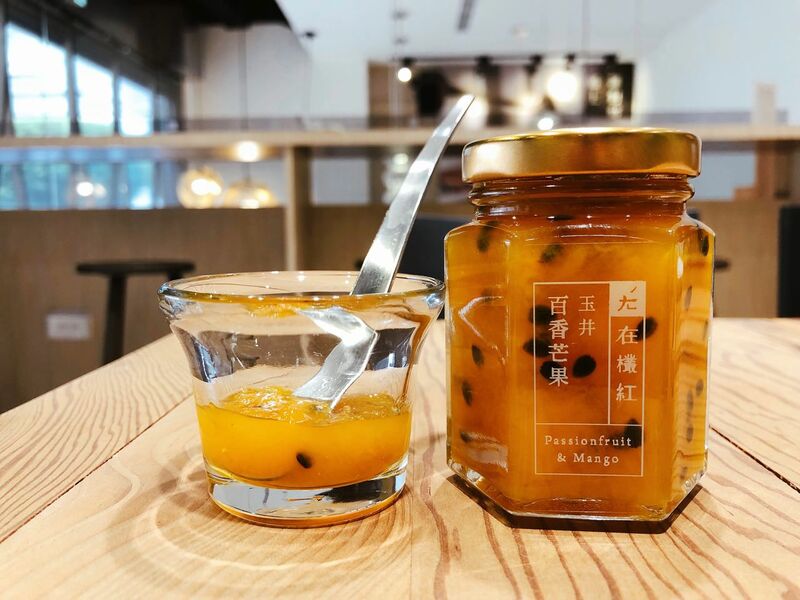 Passion Fruit Mango Jam and Red Guava Jam are placed in the different cup. The jam texture is not as thick as imported jam. 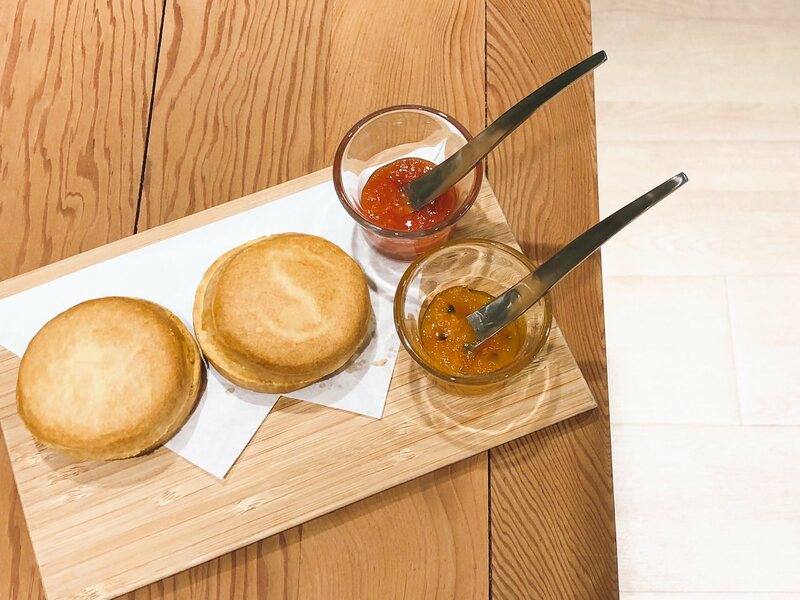 I personally prefer the red guava jam, which has fruity and sweet flavor. 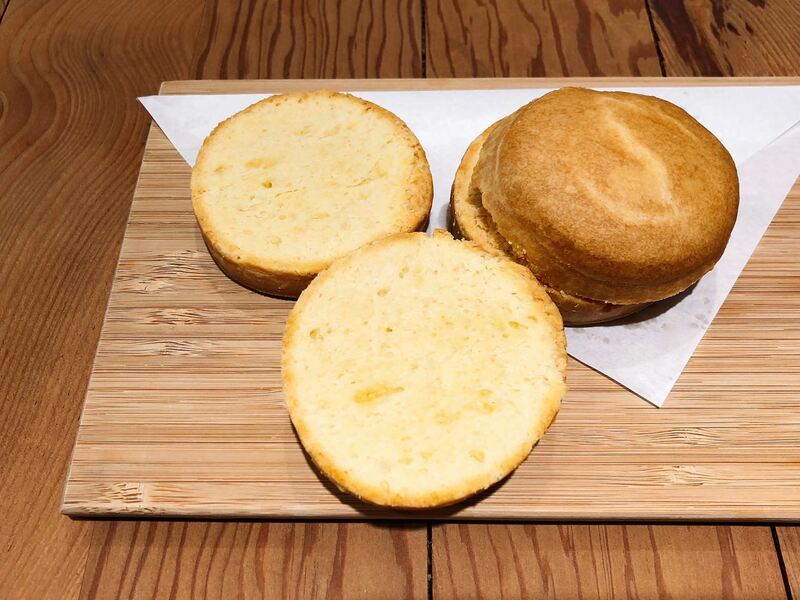 However, the scone starch flavor overcomes the jam flavor a bit. 牆上掛著當日義大利冰淇淋的品項, 店長親切地幫我配色, 辛苦一次又一次將義式冰淇淋挖起組合為花瓣, 綿密與厚實程度讓花瓣不會隨心所欲地掉落, 內層是粉紅色的紅心芭樂風味, 米白色外層是蜜香奶茶, 冰淇淋筒則是加了竹炭粉的餅乾筒. 米白色花瓣奶茶香韻久留在味蕾, 先前甜點與司康連吃了兩次紅心芭樂風味, 第三次再次品嚐到也是相當具有芭樂果香, 我會推薦給愛吃果香冰淇淋的人. Gelato flavors are stated at the wall. The store manager slowly scooped up the two different flavors. The pink color is red guava flavor, and white color is milk tea flavor. The milk tea flavor is thick and creamy. The red guava also tastes great. 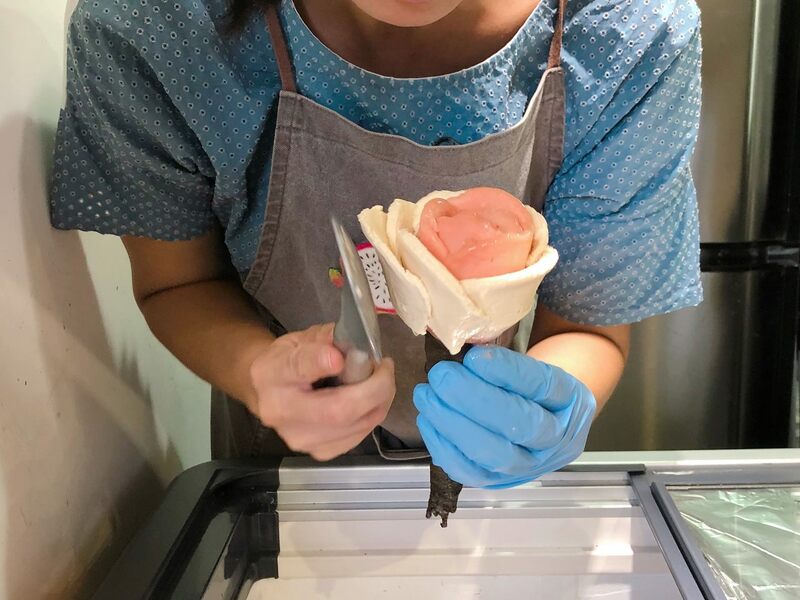 I would recommend to people who like fruity gelato.